Located just outside Yellowstone's West entrance, we are top choice for West Yellowstone motels. Our close proximity to the park, allows you to save time traveling and spend more of it exploring all the wonderful things to do. We are also located next to many of West Yellowstone's town attractions. You are literally steps away from popular shops, entertainment, and restaurants. Over the years, the Evergreen Motel has built its business on exceptional service and careful attention to detail. We invite you to find out why we are a popular selection for West Yellowstone motels by planning your stay with us. Enjoy excellent accommodations and amenities in one of our refurbished, comfy, and clean rooms. You'll have everything needed to make your visit memorable and satisfying. 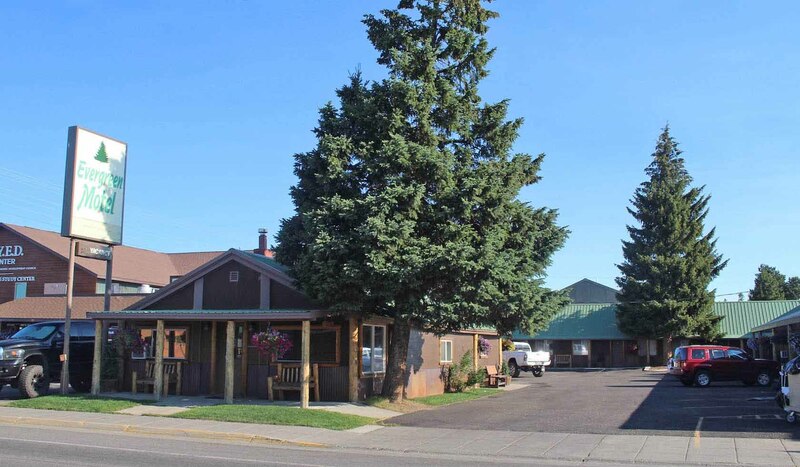 When looking for West Yellowstone Motels, great service and comfort are a must. We are confident that both these expectations will be met. Book online now and start planning your vacation today! The Evergreen Motel is a small 17 unit, owner operated motel. Offering very clean, cozy and affordable rooms. A nonsmoking motel and no pets permitted on the premises. Free WiFi and guest laundry services are available. Single story with exterior entrances. The motel is five blocks from Yellowstone's West Gate Entrance and within walking distance to all shops and restaurants.